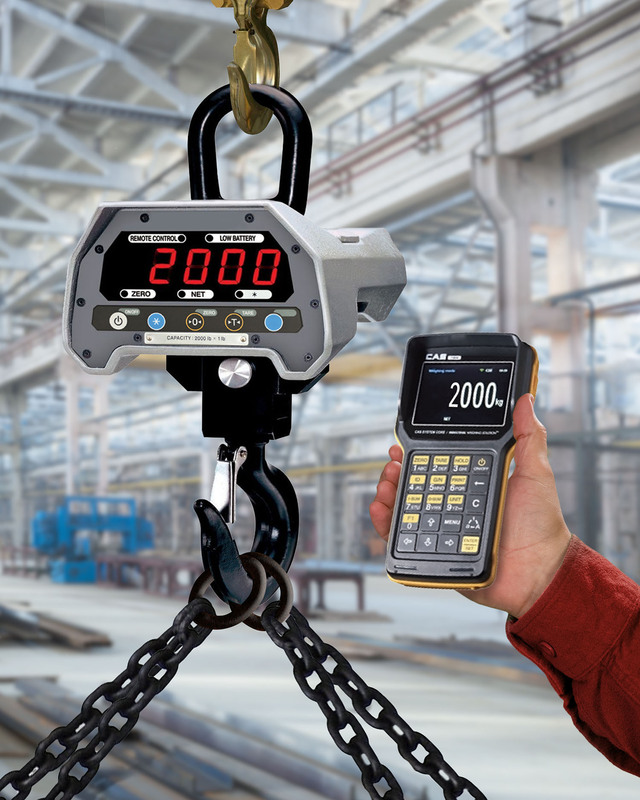 A wireless crane scale that features a bluetooth handheld indicator which can operate at up to 300 feet away and has a bright, high-contract display is being introduced by Alliance Scale, Inc. of Canton, Massachusetts. The Alliance/CAS Caston II Plus Crane Scale and TWN Handheld indicator let users stand safely away from the heavy load and control operations and view results on a high-contrast 320 x 240 TFT LCD display. Featuring on-board memory for 100 items and 5,000 transactions, including time, date and gross weight, this bluetooth handheld indicator has a built-in rechargeable battery and a USB port for connecting to a PC, laptop, or printer. Available in three capacities: 1,000 x 0.5 lbs., 2,000 x 1 lbs., and 5,000 x 2. lbs., the Alliance/CAS Caston II Plus Crane Scale operates on 6 VDC and includes a spare rechargeable battery pack and charger. Weighing only 37.5 lbs., it has a heavy-duty swivel hook for optimum maneuverability. The TWN handheld indicator is also available with an optional field retrofit kit for existing Caston II Plus users. The Alliance/CAS Caston II Plus Crane Scale is priced from $1,895.00 to $2,495.00(list), depending upon capacity; complete with TWN indicator.